“So, they have always called me ‘little miss safe/ cautious’ and I guess I had always believed this, that was until I was 18 years old, fed up with dead end jobs and I decided to apply to work in the USA and stop being safe! So, a short 4 months following application and gaining my driving licence, I was on my first ever plane ride to New York for a 3 day orientation and then onto San Francisco to begin a year’s contract of caring for two small boys. This is where little miss safe left the building, I travelled, met amazing people and took the life by the horns and well & truly enjoyed the ride. I tried several vocations over the following years including Nannying, children’s nursing (I was terrible at adult nursing, it was the false teeth and smells), being a foster carer and caring for children with life threatened/life limiting conditions, CP social work, managing a Sure Start children’s centre, infant massage instructor, breastfeeding counsellor and becoming a self-employed independent social worker. I have loved and continue to love all the roles I have held and continue to do, meeting amazing babies, children and people and learning something new from each person every day. As the roles/ responsibilities increased I was finding myself needing to be a spokesperson for the companies I worked for and being terribly shy (I know those of you I know would not believe this lol) so I decided to take up drama classes to help with my confidence in speaking to people and public speaking (this took two years lol) this is where I met the lovely Martin Kray (an RT Goldie). 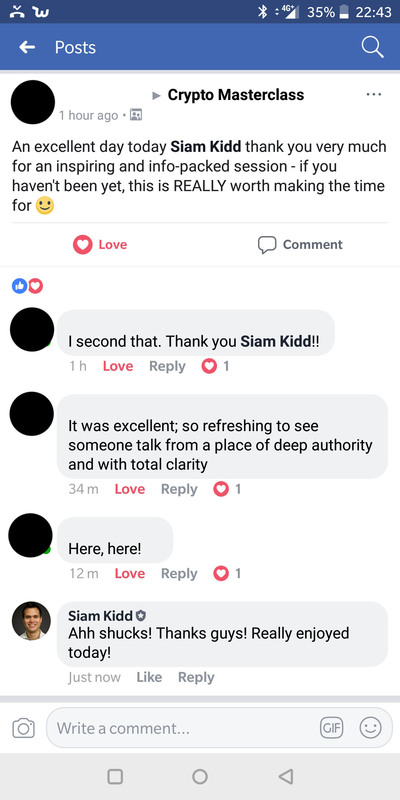 Martin shared a post on Facebook advertising an open evening Siam was holding at Carrow Road, how to retire in 10 years. I was intrigued and after going through the free videos I decided to go to the open evening to find out more. 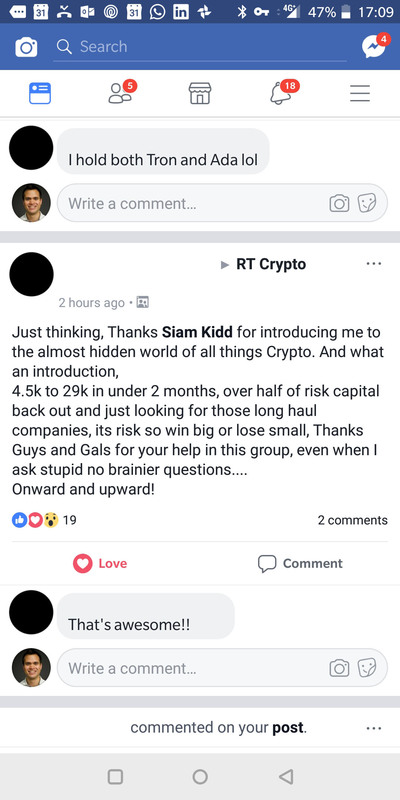 The evening was presented very professionally and I met with Siam, Ross and Ellie all of who were warm and welcoming and with zero knowledge of trading I felt even I could do this. 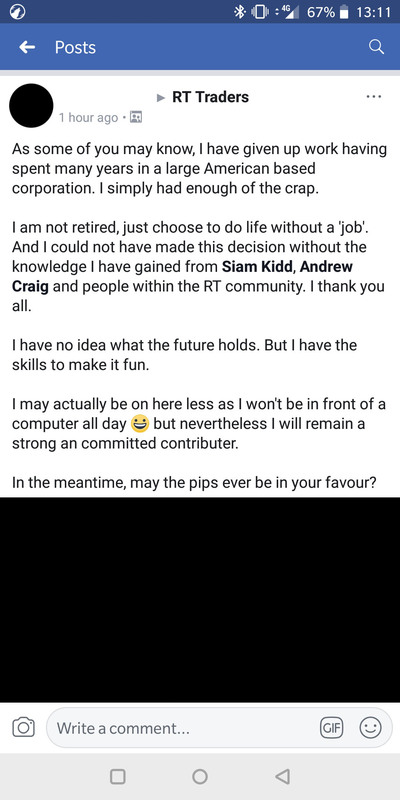 I spoke with Siam and Ross again before deciding on doing the course. Honestly, I was anxious as the old doubts came back and having a late diagnosis of dyslexia (I was 23) increased these doubts in my ability however I still booked on. 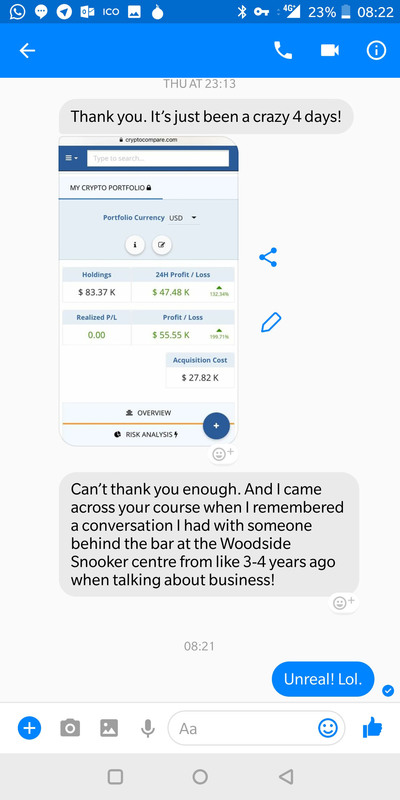 On the course, I met more amazing people and like me many were new to trading who wanted the opportunity to learn more about making a difference to their lives, we even had a little magic from the lovely Sean Alexander. I was introduced to the books Rich Dad Poor Dad and Andrew’s book Own the World and the journey began into the world I wanted for myself. 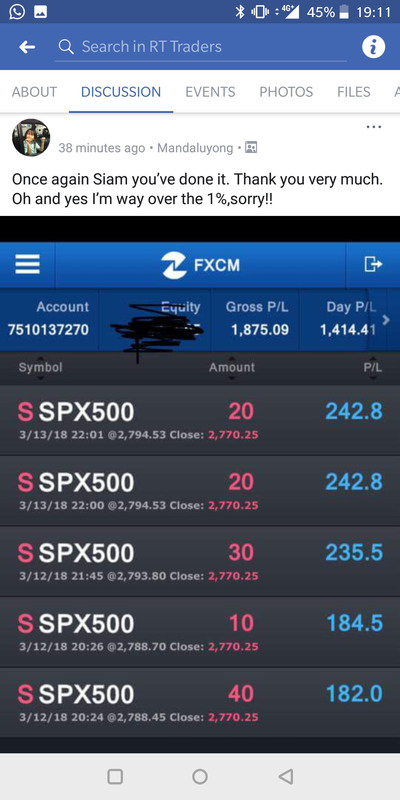 So, I completed the training, repeated the course again online as I needed repetition and started trading the dummy account, this was a steep learning curve and although initially this appeared to be working I was then forgetting the fundamentals, not following the rules and making mistakes. 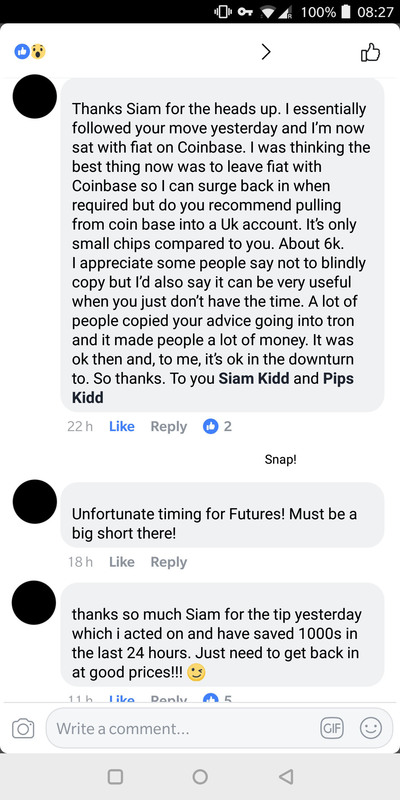 I took a break and reviewed the material from the online course and started again with the dummy account, this time becoming more successful ‘little miss cautious’ arrived back in my life and the dummy trading continued. 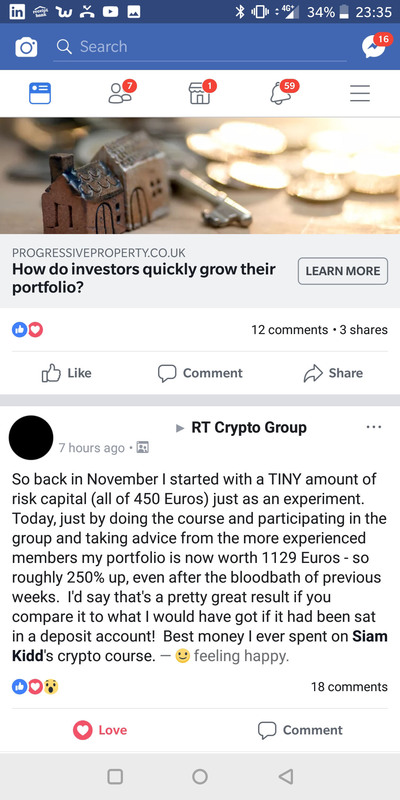 Life got busy so I took another break from trading however continued to attend the monthly meetings as I was learning from the questions being asked each month and talking to other gold members. “I’m a Norfolk born and bred boy (well man I suppose now that I’ve just turned 40!). 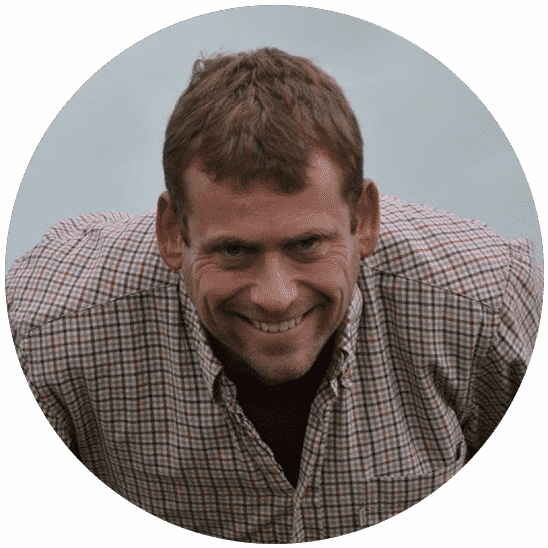 I’ve always lived in the countryside and I guess this has led me to my enjoy- ment of outdoor life and work; I find it hard sitting in- doors doing paper work – it’s taken me a week to write this! I had always wanted to pursue farming as my career but unfortunately there was no family farm, so after completing my A levels I self-funded my degree in Agriculture at Writtle College by working on local farms for what seems like a pittance now! After a couple of months travelling New Zealand I continued to work on a couple of different farms, progressing to assistant manager for a contract farmer based at Wyken Hall in Suffolk (there’s a lovely restaurant, coffee shop and farmers’ market there should you fancy some fine din- ing or local produce!). During this period of time, down at the Larling Angel, I met my wife, Kate, who many of you already know. Kate had travelled to Norfolk from her native Northamptonshire to spend what she thought would be a short period of time working for a horse rescue charity – seventeen years later and, aside from the occasional trip back to Franklins Gardens to watch Northampton Saints thrash Leicester Tigers (cough cough), she’s still here – Norfolk does that to you I guess 😉 We’ve got two children, George and Charlotte, who are 9 and 7 respectively. In 2011 an opportunity arose to rent some piggery buildings back in South Norfolk where I now rear pigs on contract in a high welfare system. This coincidently has led us to return to and live in the village where I grew up – what was that about “Normal for Norfolk”?! One of the reasons for taking on the rented pig unit was to better ourselves and increase our income to allow us to buy our own home (obviously, this was way before we met Siam and his views on home ownership!). 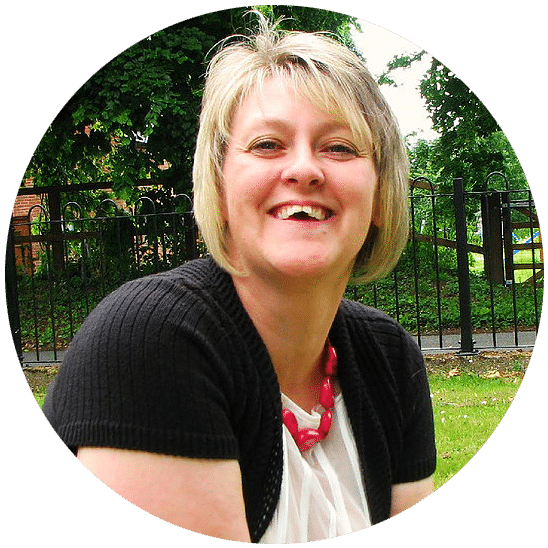 So, when Kate was telling me about how her work colleague had completed a course with The Realistic Trader where you could learn to trade currency pairs and make money I didn’t have a clue what she was on about but my ears pricked up! 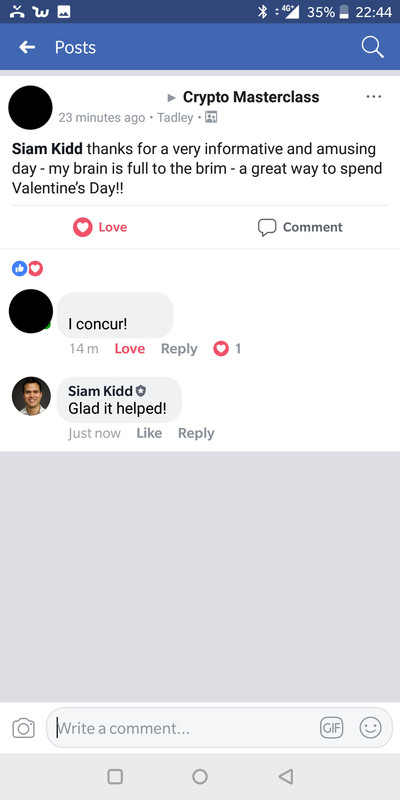 After chatting with Fi and finding out that there was so much more information in the course in regards to the global finan- cial systems that it was worth it just for that, I did a bit more research on Siam and the Realistic Trader myself. 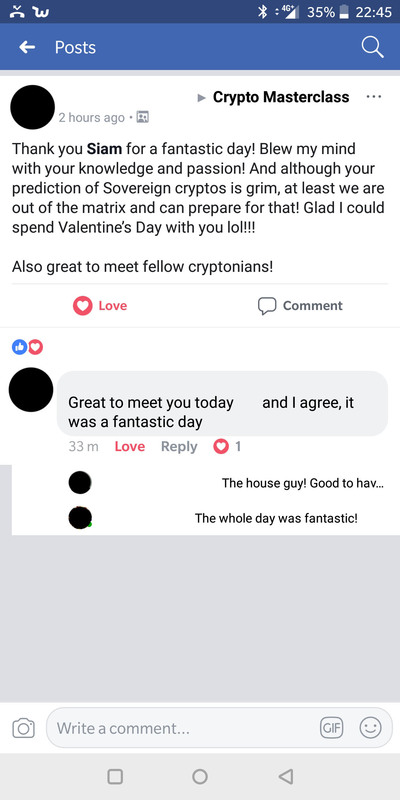 I took the online course around February 2016. 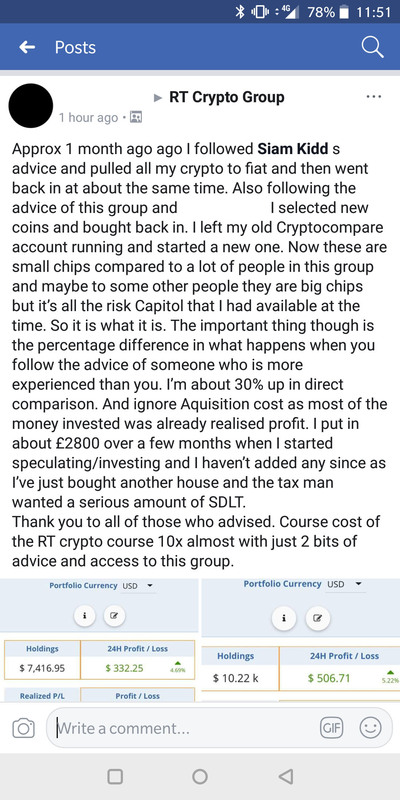 Some of the trading information is a bit daunting / confusing initially but soon after opening a dummy account you think “oh, this isn’t that hard!” and before you know it you have 6 trades open risking 1% each, some of which you shouldn’t be in and the others you don’t manage correctly. You end up 5% down and then the emotion really starts to get hold! That’s the point when you go back to the drawing board and start again. 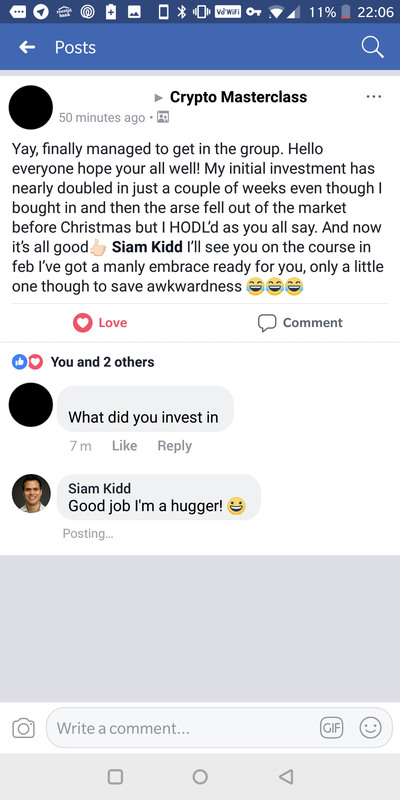 I stuck to the dummy account for 10 months, and have found keeping emotion out of trading and being patient with placing and managing trades the biggest challenge. 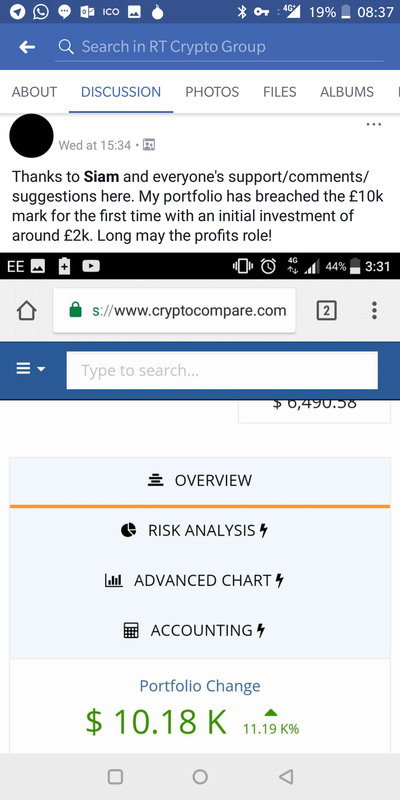 I have now been live trading for just over 2 months, and I am in the positive. I check the charts morning and night, sometimes lunch time. I tend to use the Lambo and support & resistance indicators only as I’m not able to keep my eye on any Rent-Payers whilst out in the fields with our rubbish Norfolk mobile internet, but they have served me well. I’m much pickier over my trades and I believe this only happens once the novelty has worn off and you’ve got a hold on your emotions – i.e. getting boring – Siam was right!